Let's Get You Knitting for Charity! 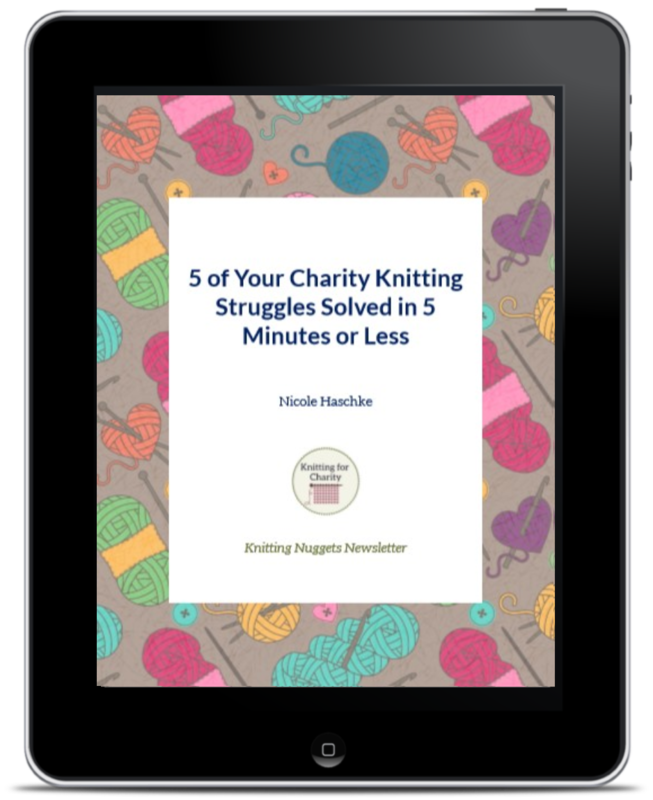 Sign up for the Knitting Nuggets Newsletter and get my free eBooklet, "5 of Your Charity Knitting Struggles Solved in 5 Minutes or Less," absolutely FREE! With your subscription to the Knitting Nuggets Newsletter, you'll get an email once a week, alternating between Monday and Friday. Fun Friday: Have a jolly good time with knitting! Free knitting patterns, techniques, tutorials, and just plain fun. Frugal Friday: Save money with knitting through free knitting patterns, tutorials, tips, and sales/coupon codes. Sharing is caring! If you have friends on social media who are interested in charity knitting, why not share with them? Go to the inbox of the email you used to subscribe on the previous page. 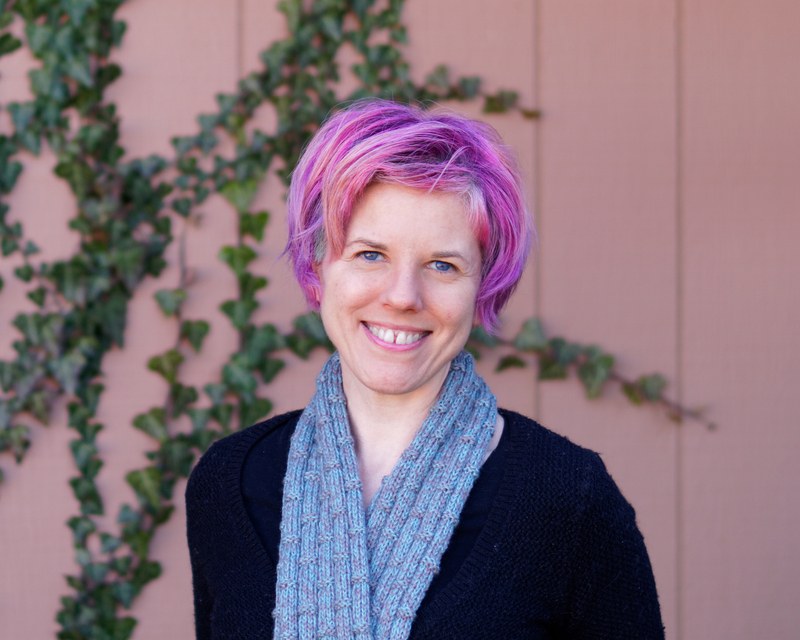 Find the email from Nicole Haschke, Knitting Nuggets. If you don't see it in your main inbox, check your SPAM or JUNK folder, and move the email into your inbox. Click the link in the email. Once you do that, you'll be taken to a confirmation page that will tell you the next step so you can receive your free eBooklet.